This fabulously funny book by Jude Lennon, has had me and my kids in giggles from start to finish! Not only is it about a lamb that enjoys ‘floga’ (her version of yoga!) ! But this lamb (Flossie) can also be seen encouraging all the other animals and the farmer into trying out some ‘floga’ poses! Illustrations– absolutely beautiful, colourful and captivating illustrations by Holly Bushnell. My children were transfixed by the illustrations of different animals in different yoga (I mean ‘floga’) poses. Moral: this book has a lovely moral, promoting kindness. 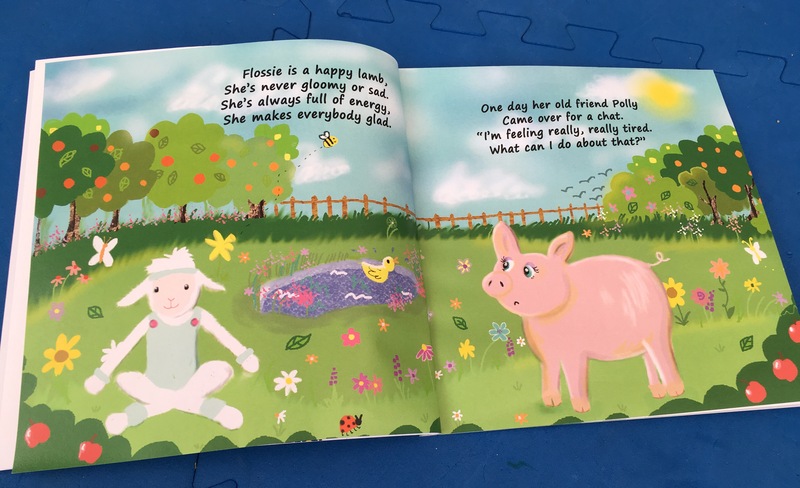 It starts with Flossie discovering that her friend isn’t happy and working out how she can help. Rhymes: Jude Lennons rhymes help make the story even more engaging and fun to read. 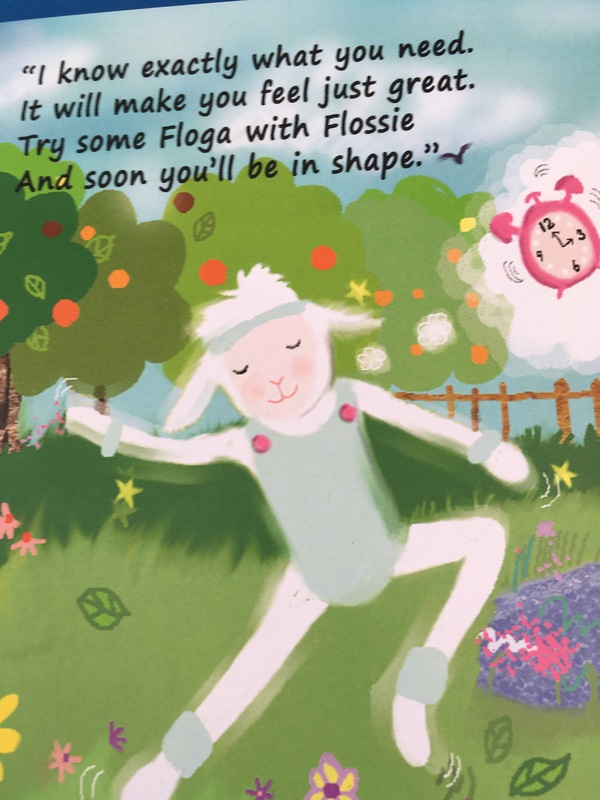 Promotes exercise and relaxation: Proof- after reading this book my kids wanted to have a go at ‘Floga’! Thank you so much for reviewing my book. Flossie and are very glad you all enjoyed it and are now trying Floga for yourselves.